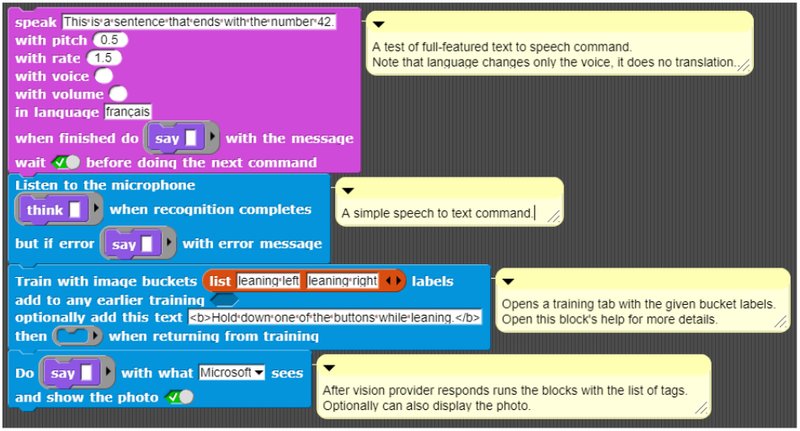 Description: The eCraft2Learn project is developing a set of extensions to the Snap! programming language to enable children (and non-expert programmers) to build AI programs. Activities include speech recognition and generation, image recognition, machine learning, and language processing.